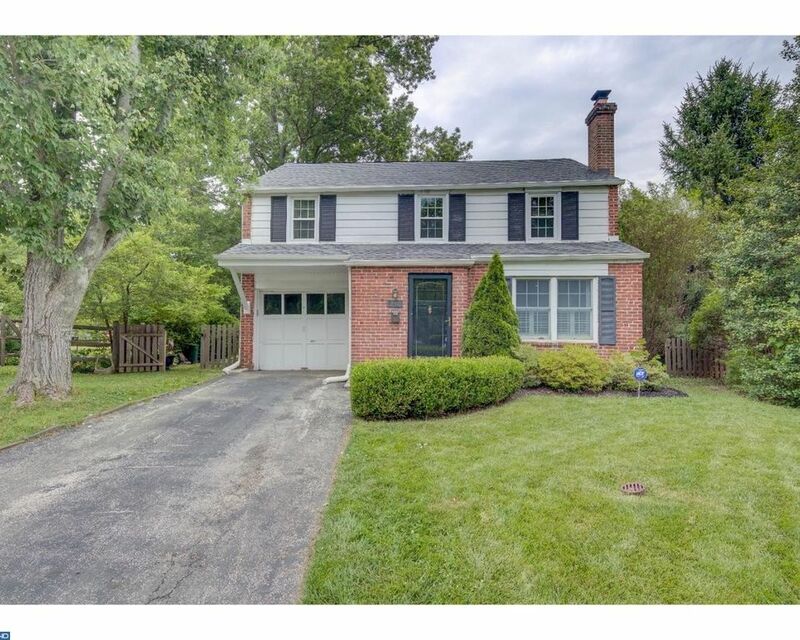 Don't miss this warm & welcoming 3 BD, 1.5 BA brick colonial in the popular Conestoga Village neighborhood, within walking distance of parks, playgrounds, train stations, and Villanova Univ. This home has a larger floor plan and larger rear yard than many nearby properties. Fresh, neutral decor and hardwood floors enhance this inviting home. The sunny Living Room has plantation shutters and a gas fireplace. Custom built-ins in the Dining Room flank 2 glass French doors which lead to a partially-covered rear patio. An unusually large rear yard offers excellent space for entertaining & recreation. The spacious Kitchen offers a Breakfast Area plus there is a 1st floor Powder Room. Upstairs, the spacious Master BD has a walk-in closet and there is also a large walk-in closet off the 3rd BD which provides ample storage as well as a potential location for an add'l bathroom, upstairs laundry, small office, etc. 2 Hall Bedrooms and a renovated Hall BA complete the 2nd floor. Downstairs is a finished lower level Family Room and a large utility/laundry/storage room. Updated systems include replacement windows, newer roof, and newer heating and central A/C. A 2nd rear covered porch leads to a small workshop/storage room. You'll love living in this coveted Radnor Twp. neighborhood, with block parties and other activities as well as easy access to shopping & restaurants in Garrett Hill, Bryn Mawr, and Wayne!